This title can be licensed and sold throughout Canada, the United States. 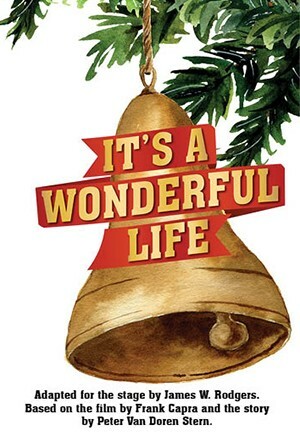 In our American culture It's a Wonderful Life has become almost as familiar as Dickens' A Christmas Carol. The story is a natural for a stage adaptation: the saga of George Bailey, the Everyman from the small town of Bedford Falls, whose dreams of escape and adventure have been quashed by family obligation and civic duty, whose guardian angel has to descent on Christmas Eve to save him from despair and to remind him—by showing him what the world would have been like had he never been born—that his has been, after all, a wonderful life. This faithful adaptation has all your favorite characters: George and Mary Hatch, Clarence, Uncle Billy, Violet, and, of course, the Scrooge-like villain, Mr. Potter. This fine dramatization not only celebrates the faith of the season, it also celebrates the American philosophy of life: hard work, fair play and the love and support of one's family and community will be rewarded. 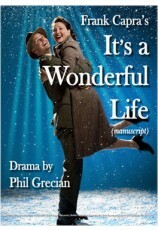 ""It's a Wonderful Life" is exactly like the movie you remember. 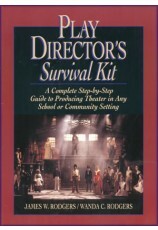 The script includes actually helpful stage directions, making it a great choice for novice directors or groups with limited experience. 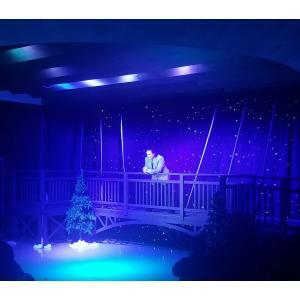 This show can be scaled up or down, performed on a simple unit set or with more elaborate locations, so it is a great option for various budgets, locations, and time constraints. " 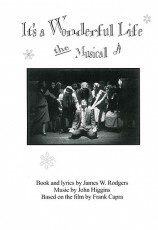 Review by Sarah Pacheco, NBHS Drama Club, New Bedford, Mass. "It was a great adaptation. Very easy to stage. It is short - approx. 65 min. running time. It includes the entire story in a short amount of time. Audiences loved it." Review by Lois DeVries, Covenant Christian High School, Demotte, Ind. "An excellent adaptation from screen to stage. 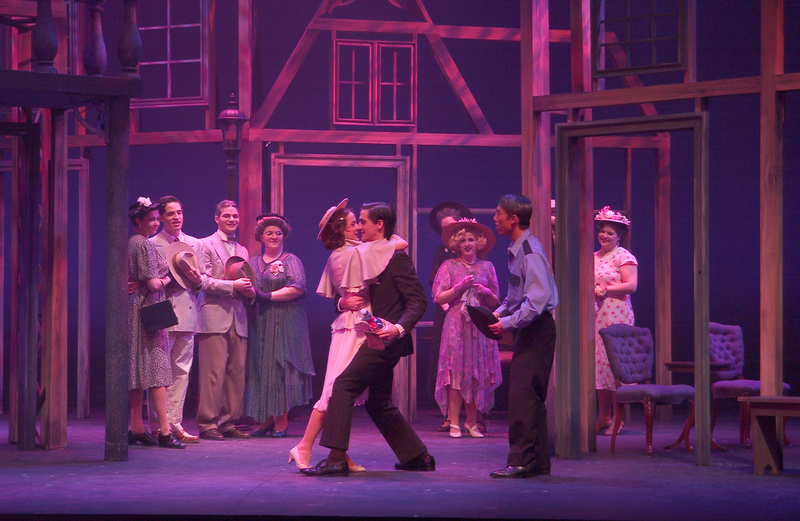 The movable set was a rewarding challenge for the set and stage crew. 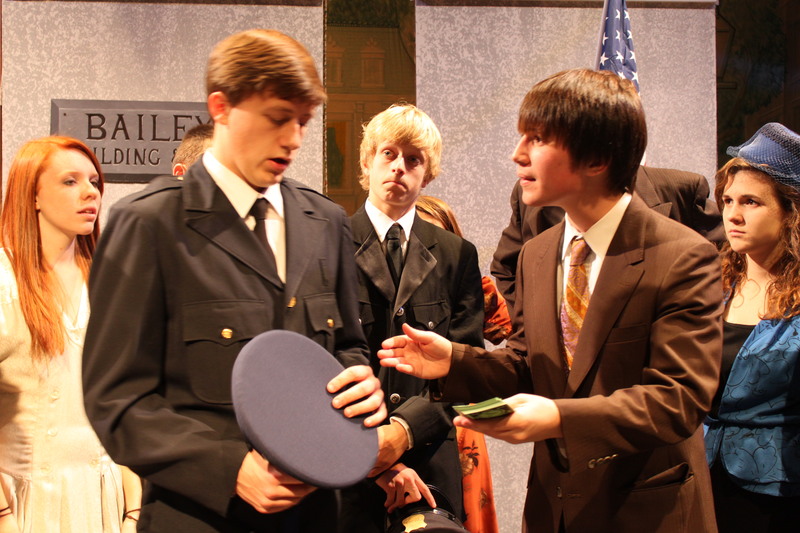 One of the best productions we've done." 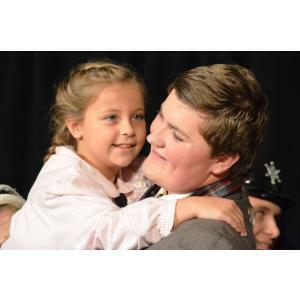 Review by M. Bemis, Carlsbad High School, Carlsbad, N.M.
"I am impressed with the faithful adaptation of this classic story. Audiences enter, expecting the story they know and love, and that's exactly what they get!" 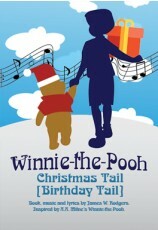 "An excellent adaptation of the classic film. Very theatrical. All the most-loved scenes from the film are included." Review by Don Swarz, Starry Night Theatre, Inc., North Tonawanda, N.Y.
"This is an excellent play for high school production. It is difficult to find crowd pleasing plays for this size group and this one had a good variety of smaller parts along with automatic crowd appeal." 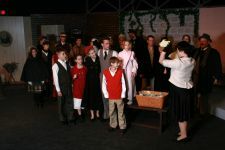 Review by Betty Schriener, Portland Christian School, Louisville, Ky.
"Many audience members commented on the great quality of the adaptation from a well-loved movie. 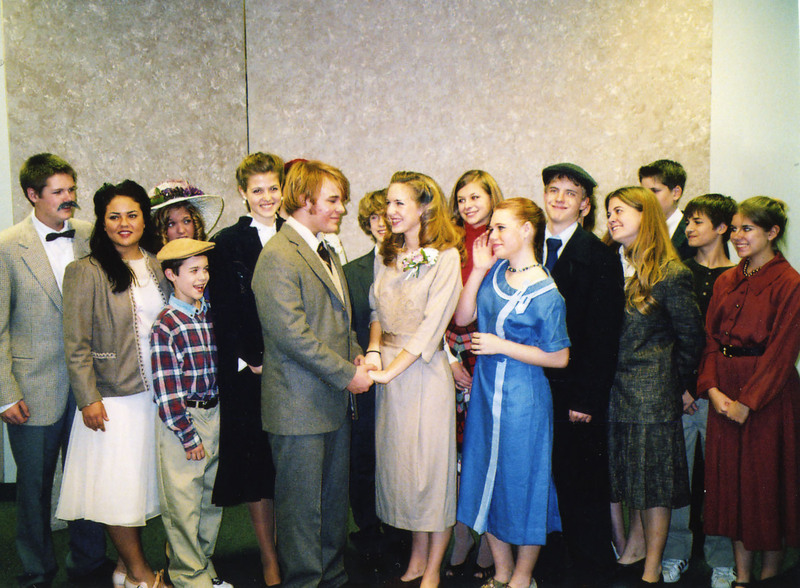 The play was readily staged by our experienced high school cast. 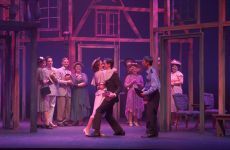 "It's a Wonderful Life" was especially helpful to our community as it copes with a tragic rash of young adult suicides this past summer." 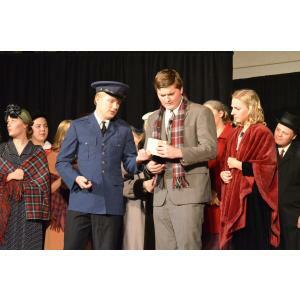 Review by Ellyn Plackowski, Manistique High School, Manistique, Mich.
"Rodgers' version (the stage play) is a very faithful adaptation of Capra's classic. He obviously knows what average American community theatres are looking for. It's also broken down into very manageable segments, making rehearsals easier. 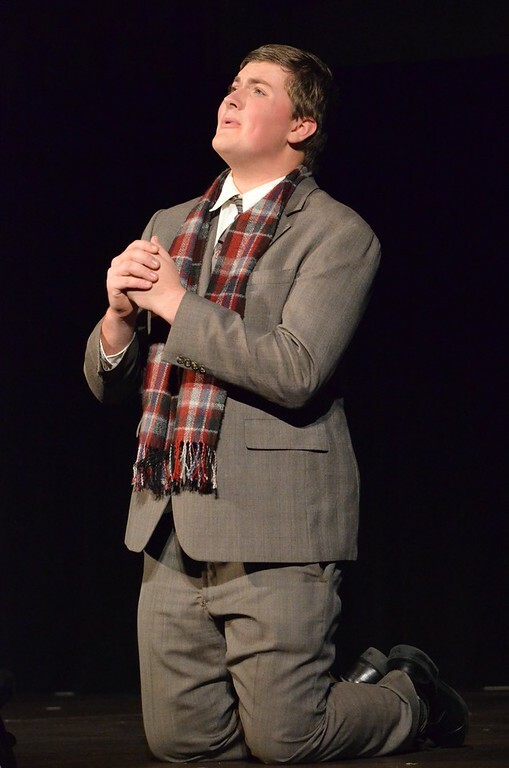 Crowd appeal was very high and no one minded that our leading man looked/sounded nothing like Jimmy Stewart!" 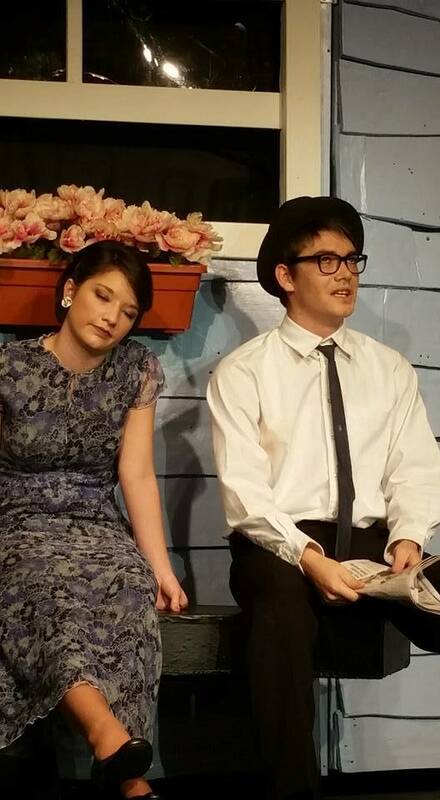 Review by Neal Lewing, Port Polson Players Theater, Polson, Mont. 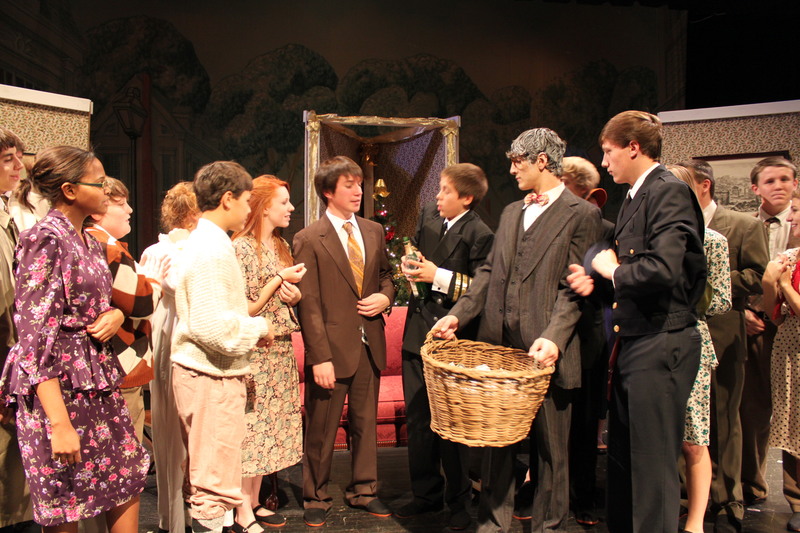 "This play was my directorial debut six years ago and it's still a terrific holiday show. It captures the simplicity and sincerity of the screenplay/film. It may be "Capra-corn," but it's an audience favorite." Review by J. Ferreira, King Philip Regional High School, Wrentham, Mass. "It's a Wonderful Life really captured the spirit of the movie but was easy enough to stage on a unit set. 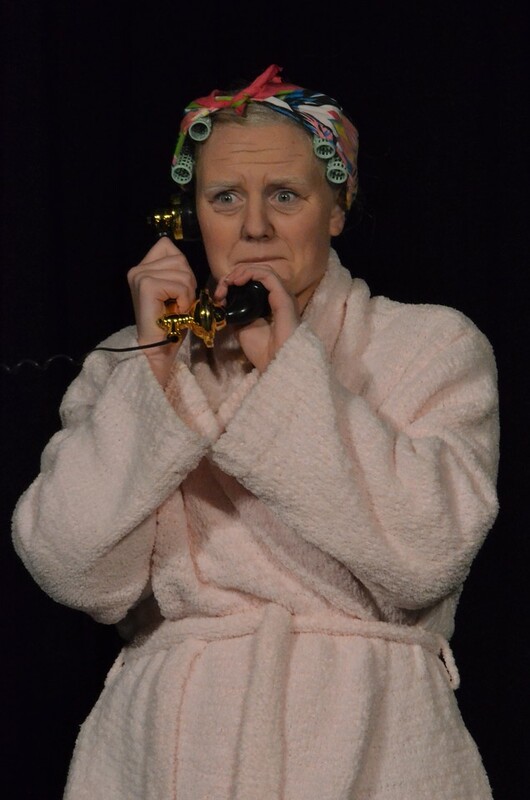 It was our most attended play for a one night performance (we had over 400 attend our Friday night show). In a few years I plan to do this again as it was so successful and enjoyable." 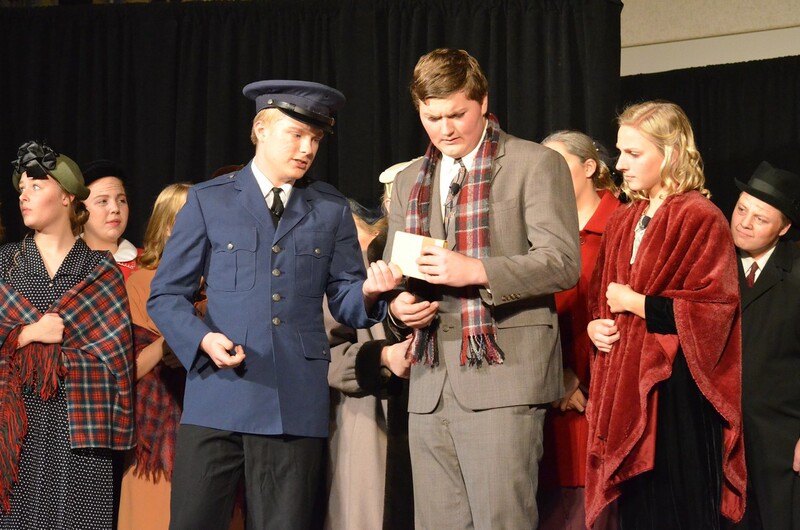 Review by Kathy Bohlke, Union Grove High School, McDonough, Ga.
"Our high school performed It's a Wonderful Life around Christmastime and it was a wonderful way to showcase our students' talent and give the community a warm feeling to begin the season." 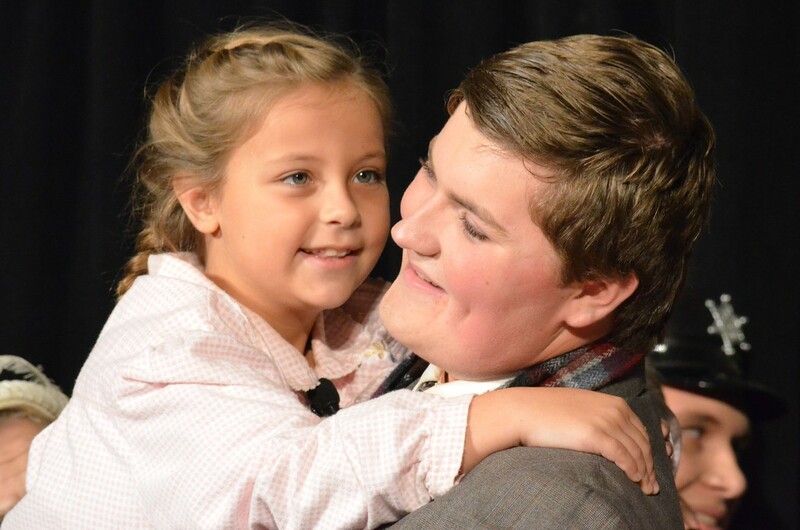 "One of the most enduring stories, It's a Wonderful Life is a striking reminder of the importance of community, friends and family. This adaptation has fast and flowing forward action until its powerful climactic moment." Review by Lavinia Hart, Wayne State University, Detroit, Mich.
"My students and audiences thoroughly enjoyed this production with its timely and everlasting message. Thanks for staying true to the original movie. Many audience members reported having the same emotional response after seeing the play as they did when watching the film!" Review by Sherry Petrowski, Maryville High School, Maryville, Tenn.
"We highly enjoyed using this script and received many positive comments. 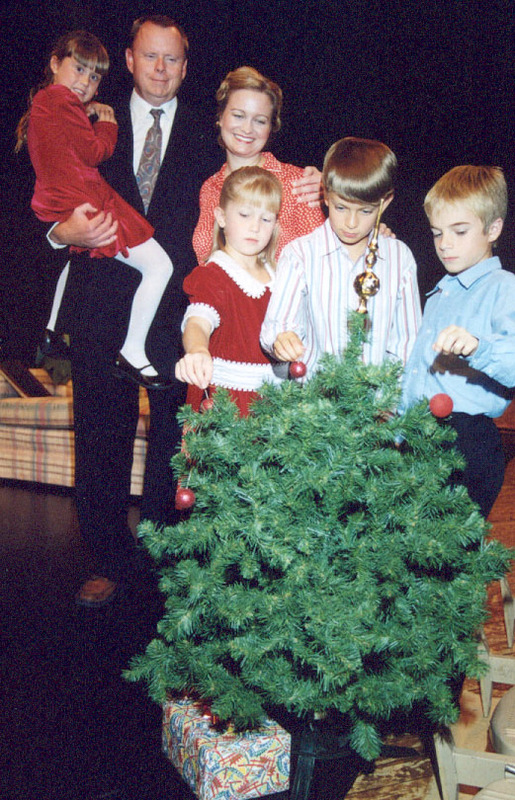 I think we'll use this production again next Christmas. I would definitely recommend Dramatic Publishing to other churches." Review by Pastor Jenny McKay, Mt. 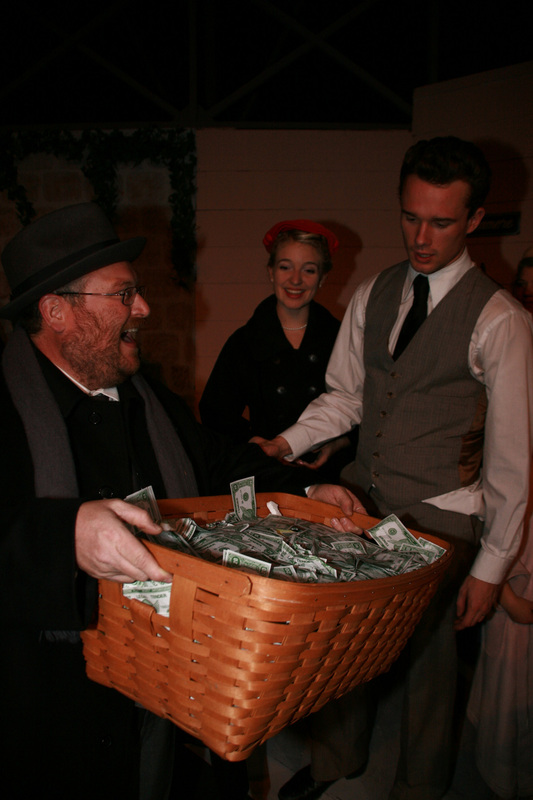 Olivet Assembly of God, Apple Valley, Minn.
"The play does justice to the beloved holiday film. Due to popular demand, we added a performance to the run." 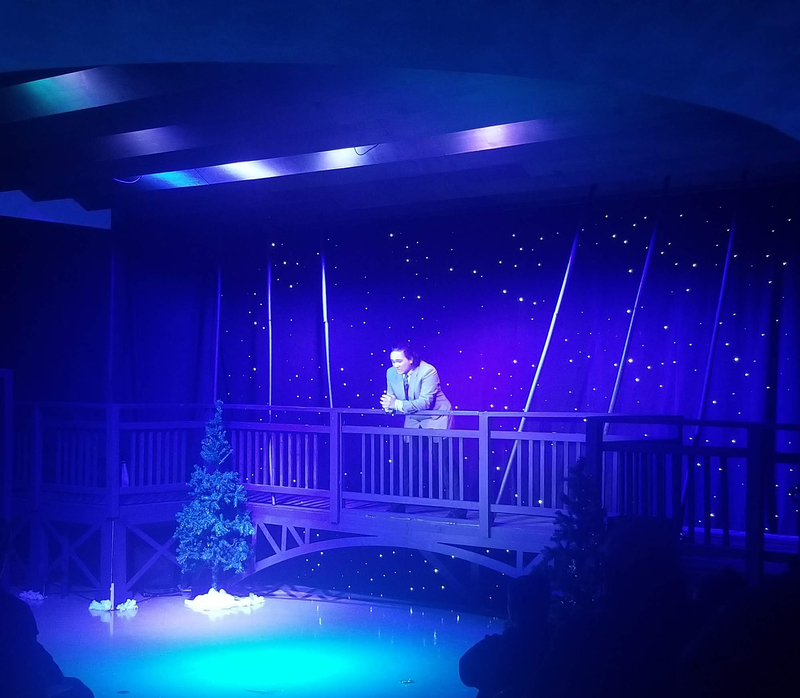 Review by Beth Jurgaitis, Racine Theatre Guild, Racine, Wis.
"It's a Wonderful Life appealed to people of all ages and was a rousing success. It moved very fluidly and was the perfect length for families with small children." 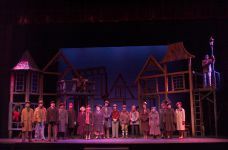 Review by Adam Campbell, Front & Centre Stage, Oldtown, Md. "The script integrates comedy, drama and current events (economic crisis) to probe non-Christmas topics such as "What would my corner of the world look like without me?" and the role of community in preventing suicide and helping individuals recover from mental illness. A great success for us." Review by Jim Block, St. Clair County Community Mental Health, Port Huron, Mich.
"This nonmusical version played out very well each night. The lead roles are poignant and meaty, making them very good vehicles for some of our strongest actors. I found myself choking back tears each time I watched it. The performances were most profound and the house was packed each time in spite of the four-foot snowdrifts outside!" 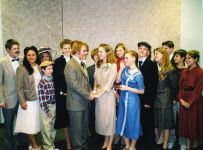 Review by Carolyn Cox, Anacortes Community Theatre, Anacortes, Wash.
"This is a great adaptation of the iconic movie story. Anyone who enjoys the movie will not be disappointed. Entertaining for all ages. The story is timeless and very appropriate today. Our audiences loved it. Our actors loved doing it. I loved directing it." Review by Diane Karohl, United Methodist Church, Oakland, Neb. 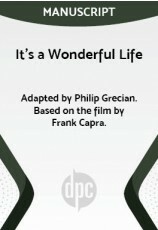 "The adaptation of It's a Wonderful LifeÉproved to be a tremendous success. As producer, I found the script to be easy to follow and interpret. 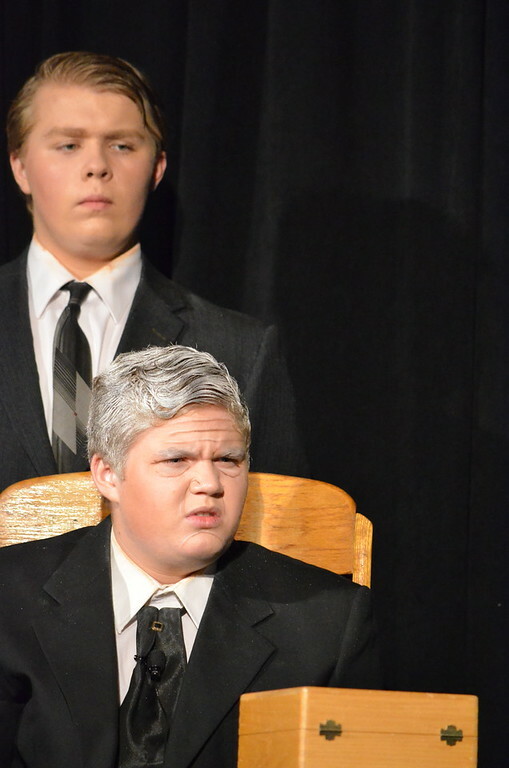 Our students were challenged and edified in the process of the production. Thank you for your help and assistance in securing the rights for performance and for providing outstanding literary work." 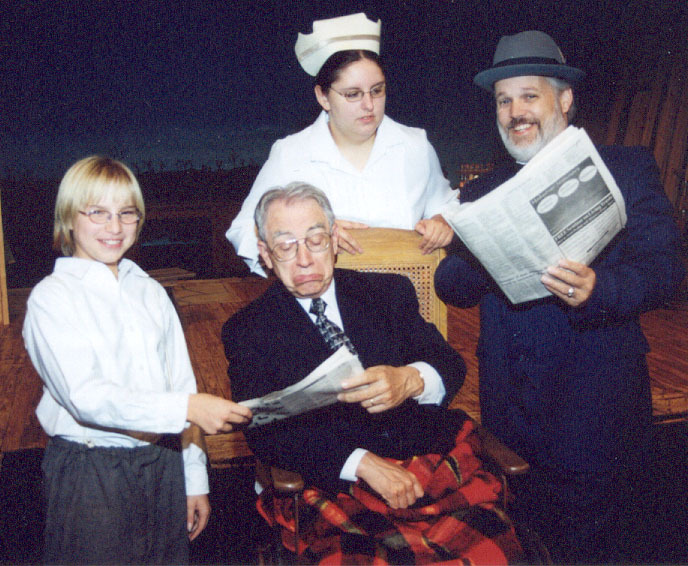 Review by Tim Lutz, Superintendent, Kelliher Public Schools, Kelliher, Minn.
"To help provide continuity between flashbacks, in some of the scenes with just Clarence and George, Clarence assisted George with changing his shirt/tie/hat while they were speaking. It kept the show moving so we did not have to wait for quick changes, and it helped the audience keep track of the flashbacks. " 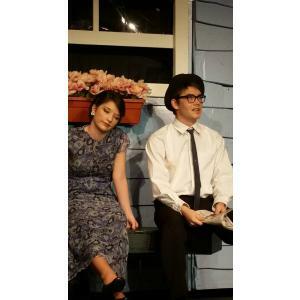 Tip by Sarah Pacheco, NBHS Drama Club, New Bedford, Mass. "Be sure to follow the lighting direction. 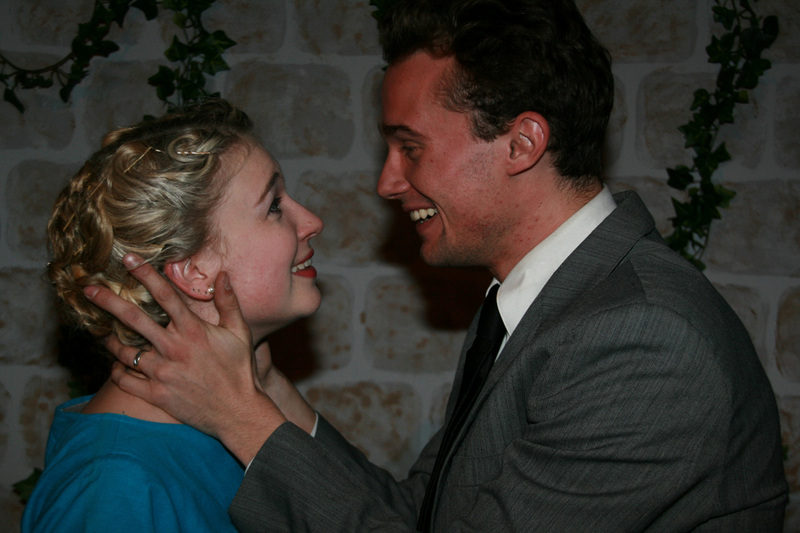 It is very powerful for the mood of the play and helps the play to flow." "You need serious actors not novices. Keep it simple. We used lighting to change most scenes with set pieces." Tip by Kay Christopher, St. Charles Community College, St. Peters, Mo. 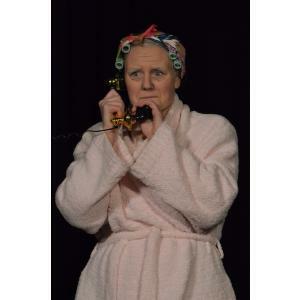 "Use easily convertible sets, no breaks in action, no stagehands on stage." "Have fun with the casting. 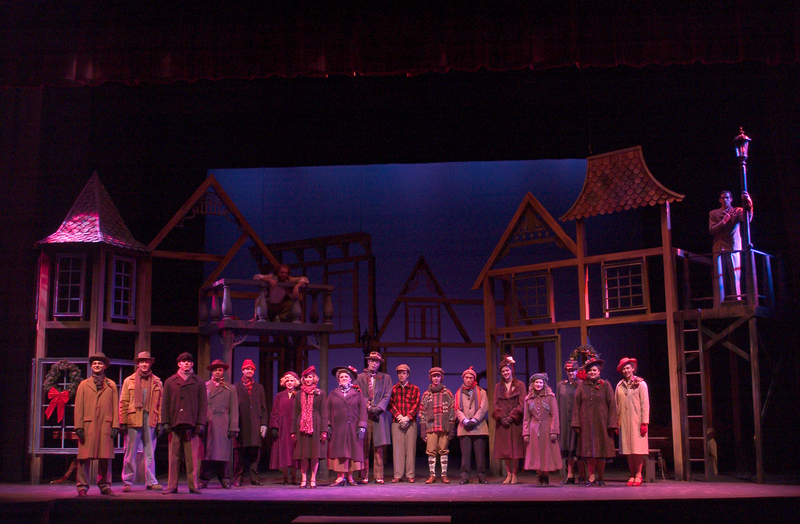 There is great ability for flexible casting with any number of townspeople." 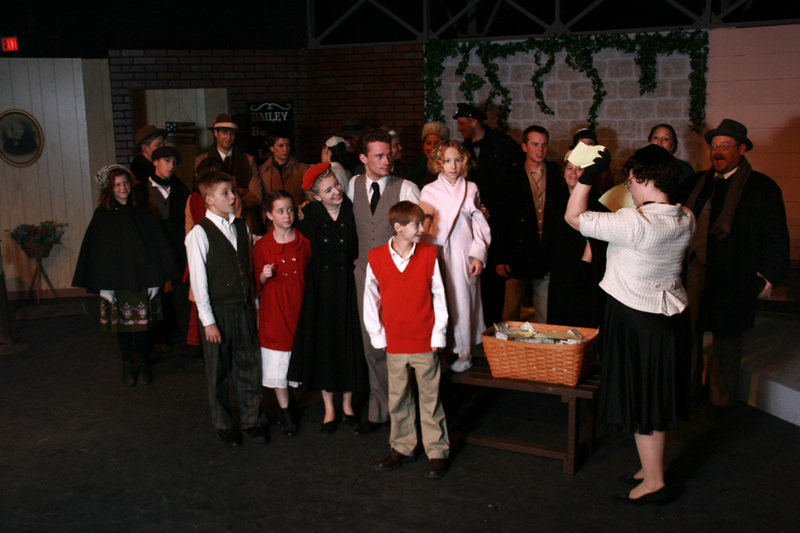 Tip by Sherry Petrowski, Maryville High School, Maryville, Tenn.
"Keep the set simple to help the flow of the show." Tip by Wayne Marek, Eau Claire Children's Theatre, Eau Claire, Wis.
"If you have a low budget you can use furniture to define rooms and area. 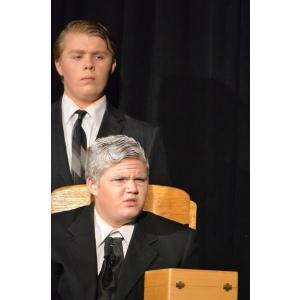 Also you can have actors enter from the audience." Tip by A. T. Williams, Albemarle School, Elizabeth City, N.C.
"We did the flashbacks using a lot of spotlights [which] worked very well! 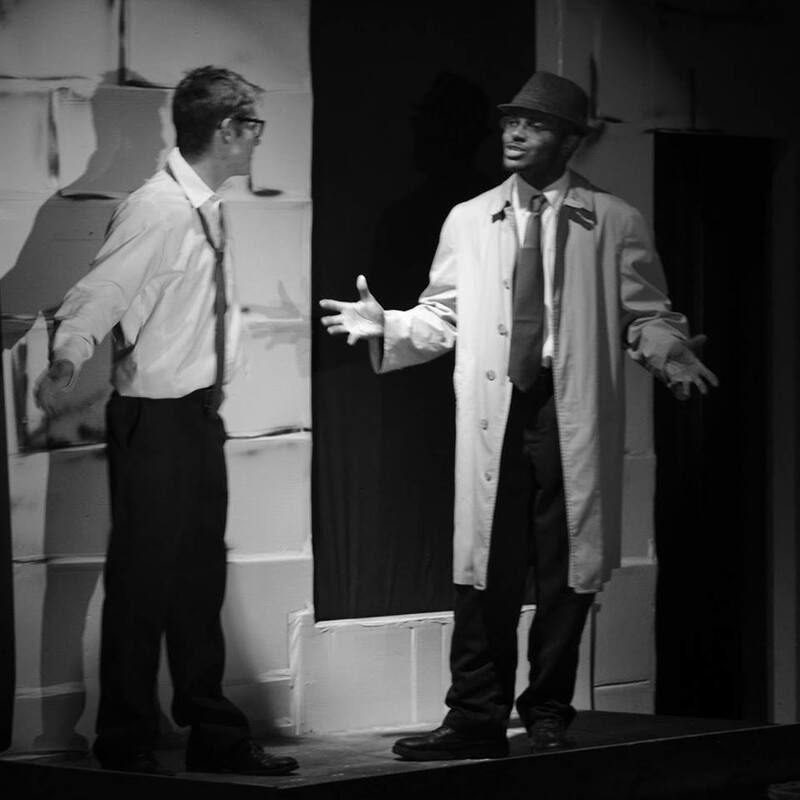 We also performed it entirely in black and white! [This] helped to draw a large audience!" Tip by Sheri Mack, Sheehan High School, Wallingford, Conn.
"We made two 8-foot circular wagons: one for the pharmacy back-to-back with the building and loan and one for the Bailey sitting room back-to-back with the front of the Hatch house so they could spin around. It worked great. We also made a small piano (keyboard with a wooden case) and had Jamie play onstage; it was more effective." Tip by Rebecca Bertolin, Masterpeace Theatre, Longmont, Colo.
"We used a modular set with each scene built into a "box" on a truck. They were pre-dressed, so any time a new location came up, the crew just simply turned around the appropriate box. The theater has no fly space. The rest of the time was played on a black stage with sparse lighting." 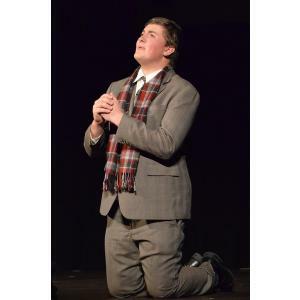 Tip by Carolyn Cox, Anacortes Community Theatre, Anacortes, Wash.
NBHS Drama Club, New Bedford, MA.